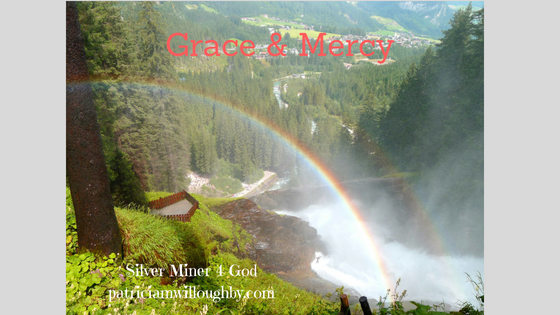 We love to talk about grace but when was the last time you heard someone talk about mercy. Yet, they are two sides of the same coin and mercy needs to be discussed more. Let me explain. Grace: What Does This Mean? It is receiving something that we do not deserve. Thus we find it easy to talk about because who doesn’t like to receive a gift that we did not deserve. Grace is God’s favor to us. Think about the last time you received an unexpected gift. How did that make you feel? God showed us His grace in sending us His Son, Jesus. He did this out of His great love for us and not because we did anything to deserve it. God’s grace is so amazing and is freely given. Mercy: What Does This Mean? Therefore, God sent Jesus to show us not only His grace but also His mercy in that Jesus paid the price for our sins. Mercy needs to be talked about more because it is the only way to fully appreciate God’s amazing grace. Think about a time when you did something wrong and were expecting a consequence, yet, you did not receive it. What feelings did you experience? Why Do We Not Hear More About Mercy? This is a good question and the reason is that we do not like to admit they we sin and are in need of a savior. I will be honest and say that I have a tough time admitting to my sins against God and others. Yet, when I read God’s Word I find both grace and mercy in confessing to God and to others. (Matthew 6:14-15, James 5:16, 1 John 1:8-9) Then my relationships with God and others are reconciled and I, once again, have peace. Mercy is the other side of the coin from grace. Mercy is not often talked but it goes hand in hand with grace. These Are Just a Few of My Favorite Verses. Grace is defined as unmerited favor or as I have seen written out, God’s Riches At Christ’s Expense. 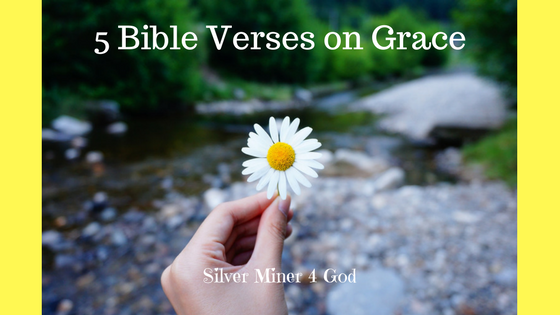 I do believe that these five verses will reveal much about grace. For me, I often struggle to fully comprehend God’s grace and in return share it. Here is a link to the following verses. Two Verses Regarding God’s Gift of Grace. First and foremost is that it is by grace that we are saved through faith. This grace is a gift of God. Yes, you heard me right, a gift. It cannot be earned and is freely given. There is nothing we can boast about. The beauty here is that there is freedom from having to prove ourselves. Theses verses reveal that Jesus has given us comfort and good hope through grace. There is a purpose to this grace that we have received. We are now established to do every good work and word. Therefore, we have a mission. God empowers us by His amazing grace to carry it out. Three More Verses about Our Responsibility to Live Out Grace. 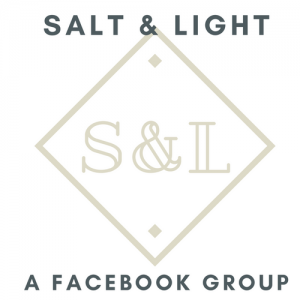 Furthermore, we are to let our speech be seasoned with grace and seasoned with salt. This way we can give answer to anyone who questions us. Salt is used as a preservative. Thus, we ought to speak in a way that will preserve the relationship and bring glory to God our father. In addition to these, comes a verse that paints a wonderful word picture. Through Jesus, we now have confidence to approach the throne of grace in our time of need. And in doing so, we will receive mercy and find grace. Hence, we are not left defenseless. We can always turn to God in our time of need. Last but not least, we are encouraged not let anyone fail to obtain the grace of God. We are also not to let the root of bitterness spring up and cause trouble. This will only defile others. Receive His grace and live it out! Most importantly, we are saved by grace through faith not by works. Jesus has given our hearts comfort and given us a good hope. Therefore, we are to be living examples of that grace both in word and in our actions. And when we need help we can always go to the throne of grace to find mercy. 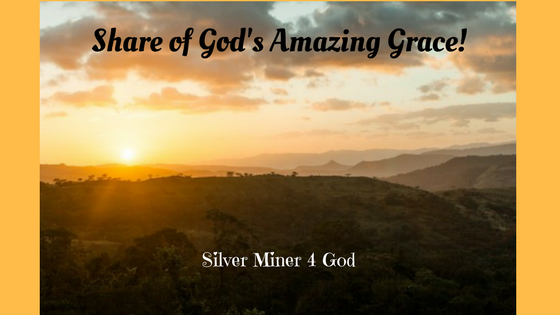 Share of God’s Grace in Your Life! I Am Called to Share of His Grace. Well, Community Bible Study has come to an end of another great study in God’s word. Though I missed out on almost two months, God did not leave me void of something to take from it. My take home is His amazing grace and the need to share it with others. We closed out with Share day where we were invited to tell our story of God’s grace. I was blessed by each woman’s story but especially by the young mothers who stepped up with their babies wrapped close to them. They, too, shared of God’s grace. One told of how she did not grow up with a mother or grandmother and was blessed by the older women in her core group. Another mother told of her 2 year old who was in the children’s program. Her two year old knows of Jesus and encourages her family to prayer before meals. Therefore, this blesses my heart to see young mother’s coming and bringing their children with them so that they will grow up knowing that Jesus is Lord. Then the Lord inspired me to climb the mountain of stairs to the podium to share of His grace in my life. Our study in Titus has been so encouraging. The last lesson was titled Amazing Grace. I read our memory verses Titus 2:11-12. I spoke of how I was there by the grace of God following the injury to my back. However, the story of His grace in my life was how He transformed me to be able to have an improved relationship with my sister who was blessed with a beautiful little girl, Joanna, almost two years ago. There is a lot to a Name. Her name means God is gracious. Two years ago, I feared that I would not be able to connect with her. Yet, God is greater and has blessed me by helping me to reconnect me with my sister. Not only do I have a better relationship with her but my niece has stolen my heart. I am not sure when I will get my heart back. But that’s okay with me. Yet, there is something more to this last lesson for me. 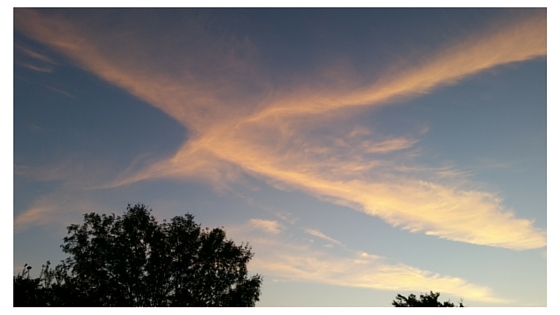 God wants me to share of His grace in my life with others in a tangible way. I am not sure of how just yet but I pray that He will reveal it to me before CBS starts up again in the fall. 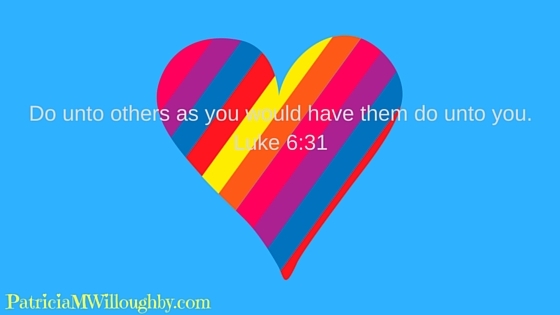 Is God calling you to share of His Grace with others? Tell of God’s grace in your life both in words and in deeds. Help! My Prayer Life Is Stuck! Is There Trouble with Your Prayer Life? Ever have times when your prayer life was stuck? I know that I have felt this way more often than I would like to admit. There is a dear friend of mine whose prayer life seems dry. Hence, I thought I would write some words of encouragement about this problem. First, this is often an attack because Satan wants me to be ineffective. And the best way to do this is to keep me from praying. Prayer is vital to the health of a believer. When I stop communicating with my heavenly Father, there becomes a problem in the relationship. The same thing happens when I fail to keep in touch with my parents and/or friends. My heavenly Father desires a love relationship with me. 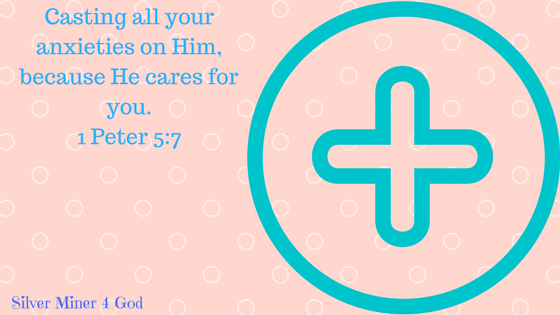 1 Peter 5:6-8 clearly states that He cares for me and wants me to cast all my cares on Him. How can I cast my cares on Him if I am not praying? I need to be in communion with Him for His steadfast loves will never fail me. Furthermore, when God feels far away, it is I who have moved. For God is constant and never-changing. His love for me is too vast to fully comprehend. In life, there have been many let downs by others or betrayals that can make it hard to accept God’s amazing love. But He is faithful and will accept me time and time again if only I turn to Him. His love is like none other. Here’s Help to Get Unstuck! Therefore, let us then with confidence draw near to the throne of grace, that we may receive mercy and find grace to help in time of need. Even when we don’t feel like praying, just offer up a simple prayer. Ask a friend to pray with/for you. Iron sharpens iron. Use scripture as a basis for your plea. The Psalms are a good place for petitions. I especially like Psalm 16. Ever felt like your prayer life is stuck? Here’s encouragement for you. Let’s Explore One Conversation Jesus Had. Let’s explore the conversation Jesus had with the Samaritan woman at the well in John chapter 4. But first let’s take a look at history between Samaria and Judea at the time of Christ. It is important to understand the conflict between the two groups of people. Samaritans were a blend of Israelites left behind when Israel was exiled by the King of Assyria circa 722 B.C. and Assyrians that the King sent into the area. (2 kings 17). They believed in the God of Israel, acknowledged Moses as His prophet, and accepted the Pentateuch as scripture. They, however, did not accept the any Old Testament writings beyond the Pentateuch as canonical. The Samaritans considered the Judeans to be apostates following the sanctuary leaving Shechem. They worshiped God on Mount Gerizim and not in Jerusalem. They, too, were looking for a Messiah to come. Similarly, the Judeans considered the Samaritans to be apostates. They opposed the Samaritans because of the intermarriage with the Assyrians. The Judeans considered them to be idolaters because intermarriage merged idol worship with the worship of Yahweh. The Samaritans had also caused trouble when the Jews were seeking to reestablish themselves and their temple (Ezra 4). Therefore, there was a great deal of tension between Judea and Samaria even in the time of Jesus’ ministry. Being that Samaria was to the south of Galilee and north of Judea, Jesus had to go through Samaria to get to Jerusalem. Typically, Jews avoided going through Samaria when traveling between Galilee and Judea. Yet, Jesus did not. He purposefully traveled to Samaria. He stopped at a well about the noon hour and waited. As a woman came to the well to draw water, Jesus intentionally drew her into a conversation with Him by asking her for a drink. He was well aware of the fact that Jews did not associate with Samaritans yet alone a woman. This is where Jesus first got my attention. He set aside social norms to reach out to her and those living in Samaria. For the custom was that a Jew was considered unclean if he used a drinking vessel handled by a Samaritan. Still Jesus asked her for a drink. In addition, Jesus continues His conversation with her in spite of all the social customs. He tells her of living water yet one can tell that she is focused on the physical whereas Jesus is speaking spiritually. 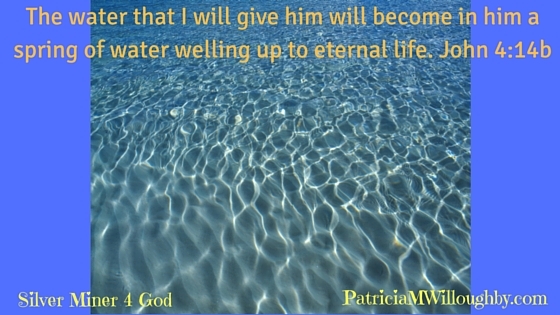 She questions his ability to draw water and if He is greater than Jacob. The woman is obviously without a clue as to whom she is conversing with. Therefore, Jesus takes it one step further by revealing to her sin. He does not do it blatantly. He asks her to call her husband and thus she points it out that she does not have a husband. Then Jesus gently makes her see that He knows everything about her. This is what broke through to her heart. It was being known by Him. Therefore, she went to draw others to Him. Jesus was not held sway by social norms. He reached across them to bring His message of salvation. I need to think like Jesus and not be held to the customs of this world. Jesus wants me to think outside the box. Like the woman at the well, I, too, can get focused on the wrong thing and not see with the eyes of Jesus. I want to draw others to Jesus who knows me better than I know myself. I pray: Dear Lord Jesus, help me to see the world as You do. Cause me to brave the social barriers and reach out to bring the good news to others that need You. Amen. Read All About Lives Changed! Are you looking for a book that shares stories of lives changed? Well, I have the book just for you! Finder Keepers Losers Winners by Kay Gray is the just the one for you. I consider her a dear friend of mine and she writes of lives changed at Oak Ridge Ministry through Jesus Christ and how God brought her to this ministry. For one thing, Kay writes from her heart. She is forever changed by the men whose lives have been changed by accepting Jesus into their hearts. She shares openly and warmly not only their stories but her story also. Kay credits God for bringing her together with Joshua Harris and the Oak Ridge Ministry. Moreover, Kay writes as if you were sitting down to the table with her. You will appreciate her honesty about the fact that some lives have not been restored because of the choices that were made. Yet, she rejoices of the lives that have been forever changed by the grace found in Jesus. Equally important, Kay tells you how she found the Bible which led to her meeting, Joshua. The Oak Ridge men gave her the title of Bible Lady. Some of the men, lovingly, call her Mama Kay. Hence, this book is filled with grace, truth, and love. You will read of a very special man who started Oak Ridge Ministry and the lives of men faced with addiction. You will read of heartache and the celebration of new life found in Christ. A Must Read! 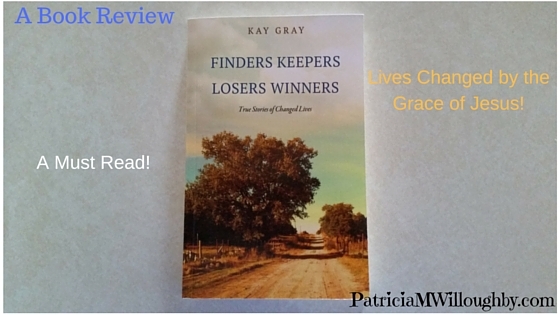 Finders Keepers Losers Winners by Kay Gray. 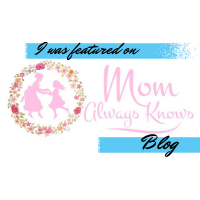 Kay Gray is a retired teacher and former boutique owner. She lives in Georgetown, Texas, and attends Crestview Baptist Church. She enjoys working with special needs kids at the church camp. Kay is an avid a supporter and encourager of the mission of Oak Ridge Disciple House. 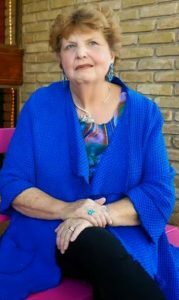 She teaches women’s Bible studies and is beginning an outreach ministry through her website mamakaygray.com. Therefore, I recommend this book if you want to read how Jesus can change lives. Well, read Finders Keepers Losers Winners, for yourself. Click this link to order your copy. 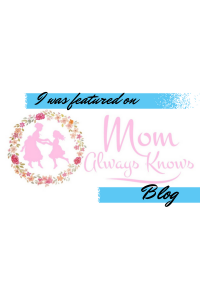 Another review: The Truth About Happiness by JE Berry. Tale of Two Friends United by Christ! A Tale of Acceptance and Grace. God makes life most interesting when you let Him in and He opens your eyes. This is my tale of my friendship with a dear friend of mine. We have something in common but yet so different. She grew up in the Lutheran Church but has changed to a Baptist church. Whereas, I grew up going to a Baptist church and now I choose to worship at a Lutheran church. We have both been baptized in the Baptist church and have a strong love for Jesus. This tale is about acceptance and grace. Acceptance of the differences between us and the grace to embrace what we have in common. There was a time in my life that I was not attending a Lutheran church. I was attending the Church of the Nazarene where I chose to rededicate my life to Christ through baptism. My friend did likewise when she went to the Baptist church. A few years later, I returned to the Lutheran church and had to attend membership class. I was reluctant at first for my faith in Christ had not changed but it was to my benefit because I needed to be reminded of what Lutherans believe. There is a part of me that identifies with the Baptist but I need the affirmations that I find in the confession, creeds, and communion at the Lutheran service. My dear friend refers to her change as a conversion. Yet, a convert is a person who has been persuaded to change their religious belief or faith or other beliefs? So what does it mean to convert from Lutheran to Baptist? Do they not believe in the God, the Father, God, the Son, and God, the Holy Spirit? For me, I have not converted from one to the other for my faith has not changed. Where I choose to worship has changed. I guess that the change lies not in our faith but in other beliefs. On the key points of faith which are creation, the birth, life, sufferings, death and resurrection of Jesus Christ, I believe that the Baptist and Lutheran agree. Now on matters that are not of eternal importance, there is a lot of differences. Some of those differences are in baptism and communion and order of service. I don’t want to go into these. Am I okay that my friend attends a Baptist service? By all means, yes! God knows her heart as He knows mine. 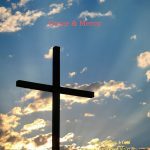 Do we both believe in Jesus and have a personal relationship with Him? Most definitely so! Each person’s walk with Jesus is as unique as a snowflake. We both serve the same Lord. How we do so is different, that’s all and it is perfectly okay. Two Friends United by Christ. Relationship with Christ? Truth and Meaning! What Does It Mean to Have a Relationship with Christ? I have a dear friend of mine who wants to know more about what it means to have a relationship with Christ. I think that a key word here is being in rather than having one. First, let’s look at the word relationship and its definition. One definition of relationship is a connection, association, or involvement. How does one have or make a connection or association with Christ? I would say much like it would be with anyone else. 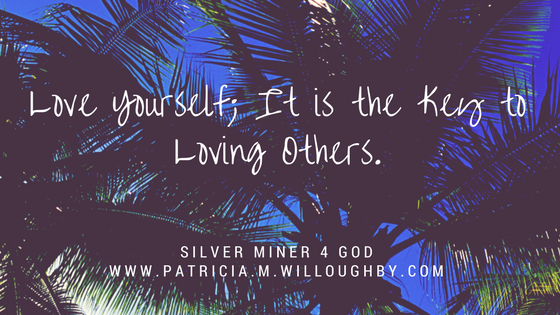 It takes time and effort in getting to know Him. This is different for each person because God has wired each person differently. It will also take some thinking outside the box, too, because people can get caught up in “doing” and not in being in a relationship. For example, if you are inclined towards ‘getting it right,’ you might get caught up in going through the motions of a scheduled quiet time. Yet, God wants you to focus on Him. Step outside of your routine, go outside and talk to Him as you would a friend and journal your thought and prayers. With Christ there is no right way to have a relationship. 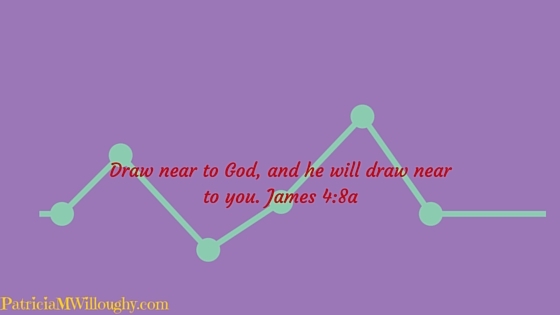 Draw near to Him and He will draw near to you. Another definition of relationship is an emotional or other connection between people. How does one make an emotional connection to Christ? This comes through spending time in His word and reading His love letter to you. Here again, it is different for each person. For the individual who is drawn to ‘getting it right’ the gospel of Matthew is a good starting point. I believe that reading through the Proverbs is also helpful. Memorizing verses that speak of His great love for us is a good practice. After all, there is nothing one can do to add or take away from God’s love for us. God accepts as He created us and sent Jesus to die while we were still sinners. Therefore, we don’t have to ‘get it right.’ Jesus already did that for us. We have a right standing before God. So to my friend, I will say, do a new thing and begin to journal your thoughts and prayers with Him. Choose a new place to spend time alone with Him and read His love letter to you. Ask Him to speak directly to your heart how much He loves you. Tell Him that you want a deeper relationship with Him and then be amazed at what He does. Related link. Letter to My Beloved. There is so much to be gained from a true connection with Christ.